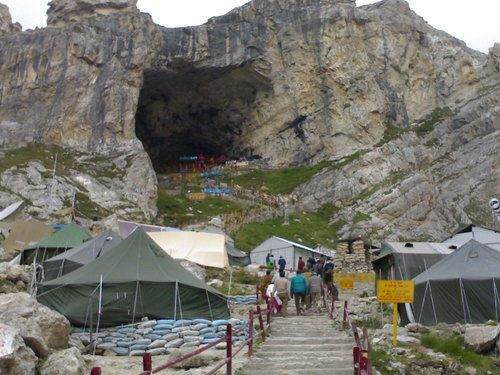 Amarnath Yatra is a pilgrim journey that transports you to the doorstep of Lord Shiva at his abode in the Amarnath cave. 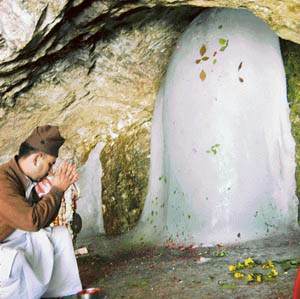 The cave houses the coveted ice shrine of Shiva and is located in the Himalayan territories of Jammu & Kashmir. 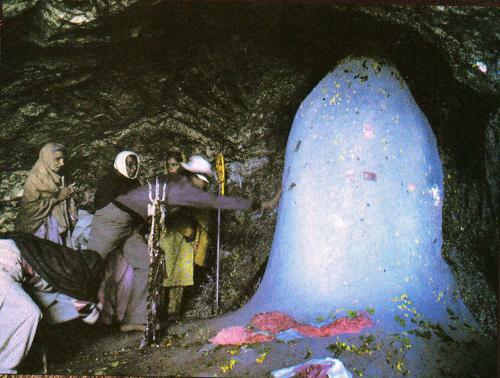 The yatra season will soon kick off this summer (the yatra is organized between May and October/November) and this can be a great time for you to pay your homage to the Lord of Immortality (or Amarnath). Amarnath yatra requires registration since the trip is officially organized and every measure is taken to ensure safety and protection for the pilgrims. It goes without saying that the journey is an arduous one, since there are steep climbs and treks involved which can be both wearisome and adventurous. Most of the pilgrims are in the upper age bracket and it is a test of strength (both physical and mental) for them to negotiate these mountainous tracks. Furthermore, the climate is no friendlier than Harbhajan Singh is to Andrew Symonds! The weather is pretty cold even during the summer months and the frequent outburst of clouds during the monsoons can make the journey a lot more difficult. Therefore, the officials are very proactive in ensuring foolproof measures and security for every tourist. Facilities have to be provided in right proportion and advance bookings are mandatory. You cannot just wake up one June morning and decide to head to Amarnath. Non-registered pilgrims are denied entry, as per the government’s rule. You will have to get yourself and your family members (all those who are traveling) registered in the prescribed manner a few weeks (or months) before the yatra season commences. Registration is a hassle-free task and can even be done online right from your homely comforts. There are travel portal website, agents, and tour planners who can do the job for you in a jiffy. They will charge a small commission but the amount will be nominal and you shall be provided all the comforts you can ask for. In addition, you can also buy the Amarnath Yatra packages for planning your whole itinerary in advance. Such an action would help you avoid unnecessary expenditure and last-minute hassles. Besides, when you are going to remote locations like Amarnath, then it is always recommended to chalk out your schedule in advance. These packages shall also help you save around 30-40% money and would ensure comfortable stay (getting accommodations at the last minute can be very difficult in these sparsely populated hills). With the package, you can also book helicopter flight for you and your entire family since a certain portion of the yatra needs to be traversed through these flying machines. This entry was posted in pilgrimage tour and tagged Amarnath Yatra Registration, How to book Amarnath Yatra. Bookmark the permalink.